The beautiful color change in the leaves means that they will soon be falling to the ground. While the fall season in Cherokee County provides for many beautiful sights, it can also mean the early signs of a damaged lawn or landscape. Without removing dead and fallen leaves from the yard that you worked so hard to maintain over the summer, the thatch layer will grow up and choke out healthy grass. 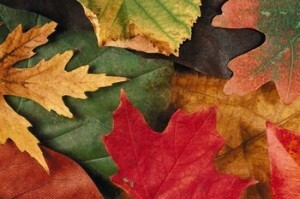 In an effort to keep your landscaping and lawn beautiful, it is important to remove leaves. Additionally, decomposing leaves left on sidewalks, porches, patios, and decks can leave unsighly stains behind. Hutchson Horticultural Company is proud to offer the easy solution with season lawn cleanup service. We understand that this task is one that many homeowners take on independently. Some families even make a day of fun out of it with raking piles of leaves and jumping in them. Regardless of how you choose to tackle the job, we have some trusty tips to offer you in making your fall leaf removal in Woodstock more efficient than it has ever been before. You won’t even have to touch that old rake unless you want to. Consider bagging the leaves with mowing. If you have a lawn mower with a bagging system in place, this is perfect for helping to tackle those leaves on the lawn. Simply mow over them and they will get cut and tossed into the bag along with your grass clippings. As an added bonus, this is great for your compost pile! Consider a mulching blade. There are different types of blades that you can use with your push or riding mower. The manufacturer will be able to provide more details. A mulching blade will help to eliminate those leaves without raking or bagging. Do you have a small or medium sized yard? If so, consider a yard vacuum or a leaf blower. These options will help you rid your yard and walkways of the leaves. This may be a less physically intensive option for those searching to avoid the physical pains that may be associated with raking. Regular cleanups help. We suggest that you don’t delay. It is best to clean up that yard on a regular basis so that you don’t have partially decomposing leaves damaging your lawn while you are waiting for the last leaves to fall. It is okay to get ahead of the game and rake or clean up regularly. If the process of leaf removal is one that you just don’t have the time for, then call Hutcheson Horticultural Company at 770-924-1001. Our maintenance crews can safely, efficiently, and quickly remove those fall leaves. Call us for your landscaping needs in Cherokee County and Atlanta, or use our convenient contact form.